Leipzig went to Kyiv - kyiv-leipzigs Webseite! 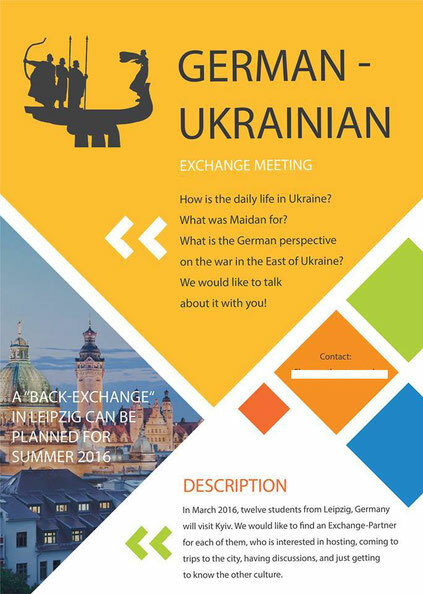 Due to the Maidan-Revolution and the conflict in the East of the country, in 2013/14 Ukraine got into the focus of interest. In the Western Europe countries people became more aware of the country "at the edge of Europe" and its history and culture. What ist the Ukrainian lifestyle about? How do young Ukrainians see their country? Where do they see their future? Does Ukraine belong to the EU or to Russia? Or can it maybe be just between? And what happend in December 2013 on the Independencesquare in Kyiv? How is the political situation right now? How can we strengthen the relationship between our countries? 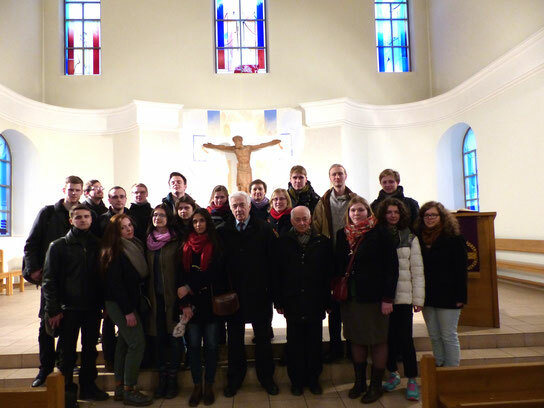 In March 2016 fifteen German students went to Kyiv. The goal of this trip was to meet Ukrainian students from our partner-group, to get to know the city and learn something about the Ukrainian history, culture and politics. The German students stayed at the home of their partners or in a Hostel. We had guided tours, discussions, excursions and time to spend getting to know our group (see our program). It was a new and interesting week for all of us, which opened new perspectives and maybe changed our point of view on the other country. "It was a great opportunity to meet such good people. Moreover, I have met new friends and I will definitely keep in touch with them after the programm. I was amazed by kindness and humility of my new german's friend. In addition to this , I am looking forward to meeting with them again." "It was nice to meet and to talk to such interesting and kind people. I've enjoyed spending time with them, telling our stories and hearing their." "Diese Begegnung war für mich auch das Wertvollste: Meine Partner sind mir mit großer Offenheit und Freundlichkeit begegnet, wodurch ich die Stadt und das Land viel konkreter erleben konnte."